Developer and publisher Double Eleven, in partnership with Introversion Software, announced today that the Escape Mode DLC for the BAFTA-winning and multi-million selling Prison Architect is now live on PlayStation 4 and will launch on Xbox One on August 31st. The Nintendo Switch version of Escape Mode launches in a few short weeks. The BAFTA-winning and multi-million selling Prison Architect begins its sentence on Nintendo Switch starting today, August 20th. 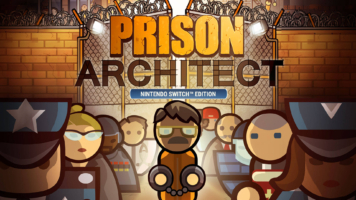 Developed by Double Eleven (Prison Architect XB1/PS4, Songbringer XB1/PS4), the prison design and management simulator’s Nintendo Switch version includes the formerly released All Day and a Night and Psych Ward expansions.